First, because that’s where the people are. Almost 70% of Americans have smart phones and games are the most popular applications. Games also encourage players to work constructively on planning problems because players form strong relationships through shared endeavours, goals, and practices. Many games include aspects of all three uses. Games MUST be fun! Use professional game designers. Are games the best approach for achieving your specific objectives? Is game to be played once or multiple times? What platforms do you want the game to be on? How will you maintain the game? Finally, games should be integrated with the organisation’s social networking and web presence. As the examples below show, most transport games combine several of these purposes. Information games are designed to illustrate basic facts. We make a distinction between information games and education games (designed to present more complicated information by engaging players more deeply in the game). Budgeting games are a good example of information games. In a budgeting game players are given a specific amount of money and asked to spend it. The idea is to show that there are limited resources and to illustrate how much activities or projects cost. Budgeting games are excellent educational tools for transport agencies because most people have a very poor idea about how much transport projects cost. The San Francisco Country Transport Authority’s Budget Czar game is a good example of a budgeting game. 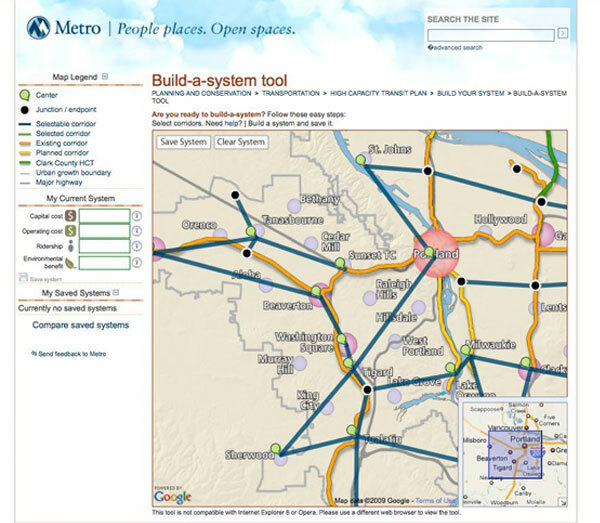 An excellent example of a budgeting information game is the Portland Oregon Metro “Build-a-system-tool” shown in the figure at the left. The website was a very early example of using online applications to help educate and inform the public about transport planning. Portland’s “Build-a-system-tool” and other budgeting games stretch the definition of game in the sense that they are not really “fun”, but they still provide a much more engaging way of helping people understand the trade-offs involved in budgeting and transport planning. However they can become more game-like when used as part of a large public involvement effort (e.g., with social media and gamification: such as contests to develop the most efficient services). Educational games use game mechanics to help educate players. They are ideal for learning about complex subjects such as transport and urban planning because developing an educational game forces designers to break-down information into simple, easy-to-understand packages. This section describes four example educational games about transport. 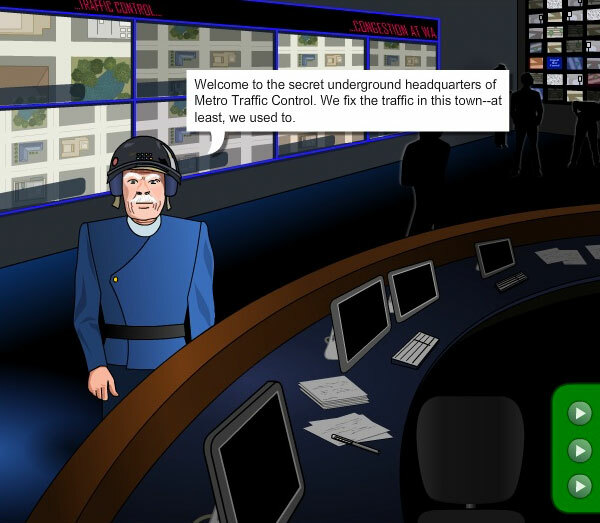 The BusMeister Game teaches players about public transport operations. BusMeister is a fun way to learn about public transport operations. In BusMeister players add measures (e.g. bus lanes) to a generic street. They receive points for improving user satisfaction and reducing costs. BusMeister is a complex game with 12 levels starting from a simple street and ending with a quite complex street where players can add many different measures and adjust bus operations settings to improve service. The game was designed to be played online and on Facebook so players can share results and compete with each other. BusMeister is part of a larger project designed to combine education and collaborative crowdsourcing. The game attracts people, teaches them about public transport and then encourages them to share improvement ideas via a crowdsourcing application. The project also developed a guidebook for using BusMeister in the classroom. Gridlock Buster game from University of Minnesota. Gridlock Buster is a traffic control game developed by the Intelligent Transport Systems Institute at the University of Minnesota’s Center for Transport Studies. In Gridlock Buster players control traffic and receive feedback based on vehicle delay and the length of queues formed at traffic signals. Players move through different levels of challenges and ‘compete’ to improve their scores. 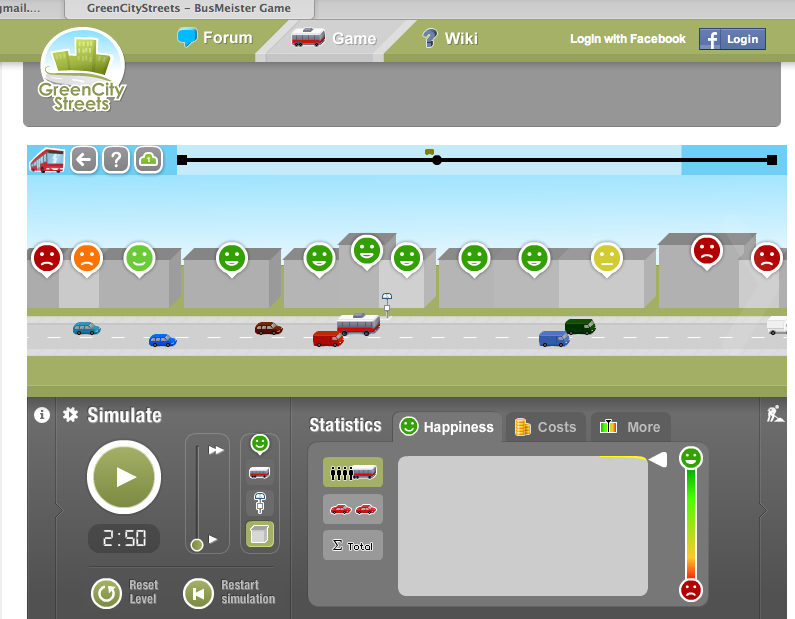 Gridlock Buster is designed as a teaching tool to help explain how traffic is controlled on roadway networks. The website also encourages high school students to visit the ITS and learn more about transportation planning. This is another example of a game that combines education with engagement (i.e., encouraging young people to enter the profession). 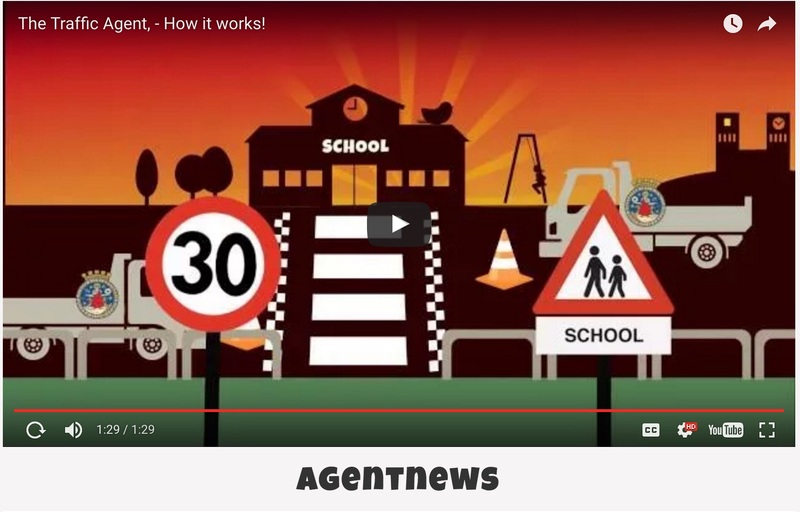 The MobiKids project was designed to help children use public transport. 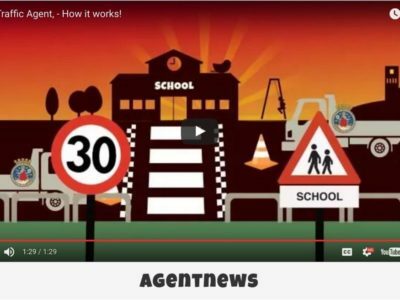 The developers believe that if children learn to use public transport at an early age, they will be more likely to use it as they get older. The project included developing an online game called Mobikid. 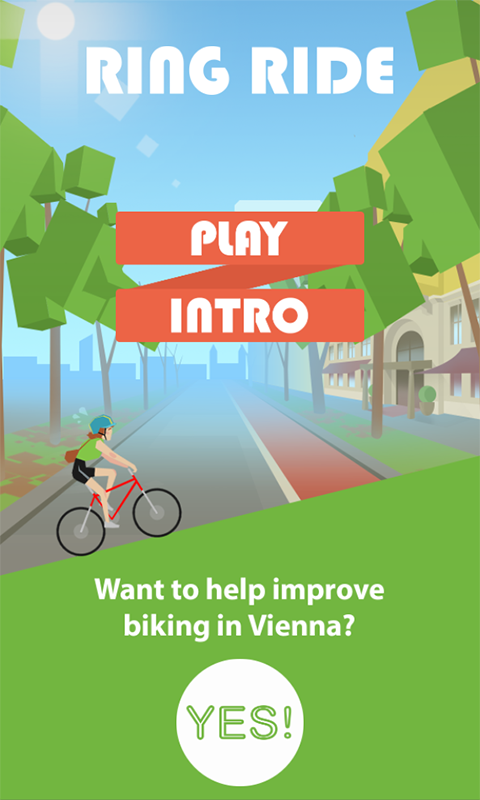 The Mobikid game helps young teenagers learn about Vienna’s public transport system. Players register and enter an origin and destination address for trips they make on a regular basis, and then give the trip a name, e.g. “home to grandmother’s house”. Next, the game displays several public transport routes, just like a regular public transport information site, and asks the player to select one. Then the player needs to visit every station on the route to find a unique identification number. The player sends this ID number via SMS to the game site. Players receive points for each stop they visit. The goal is to visit all the stops on all your routes. Mobikid also combines education with engagement (encouraging teenagers to use public transport). Meet the Street teaches people about traffic safety. Active Engagement – a game designed to get players to do something in the real world that relates to the agency’s objectives or goals. Encouraging players to do something (besides playing the game) is an important part of many transport games. In addition to encouraging people to do something, well designed games leave players in a better mood after playing, helping make them more open to doing something compared to simply providing information. Two interesting active engagement games are outlined below. Chromaroma uses London Oyster Card data to engage public transport travellers. Chromaroma is a game from London UK that shows players their movements through London’s public transport system based on Oyster Card (smart card fare payment) data (go to the website and watch the movie … it’s awe inspiring!). 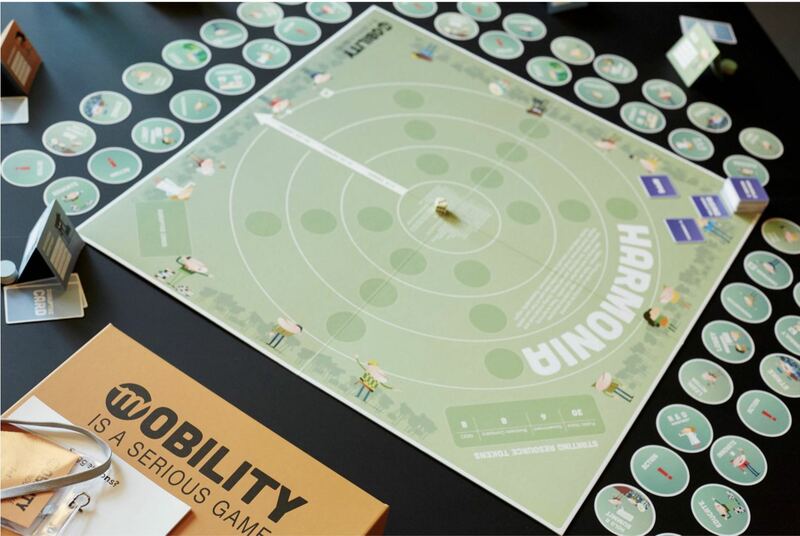 The game was developed by Mudlark and is independent of any transportation agency. The game has competitive elements including allowing players to join teams and “capture” stations, completing “missions,” or having players collect points based their miles travelled, etc. However, the developers also want to show players their “trails” though the city believing that these data will help connect players and build new types of communities. 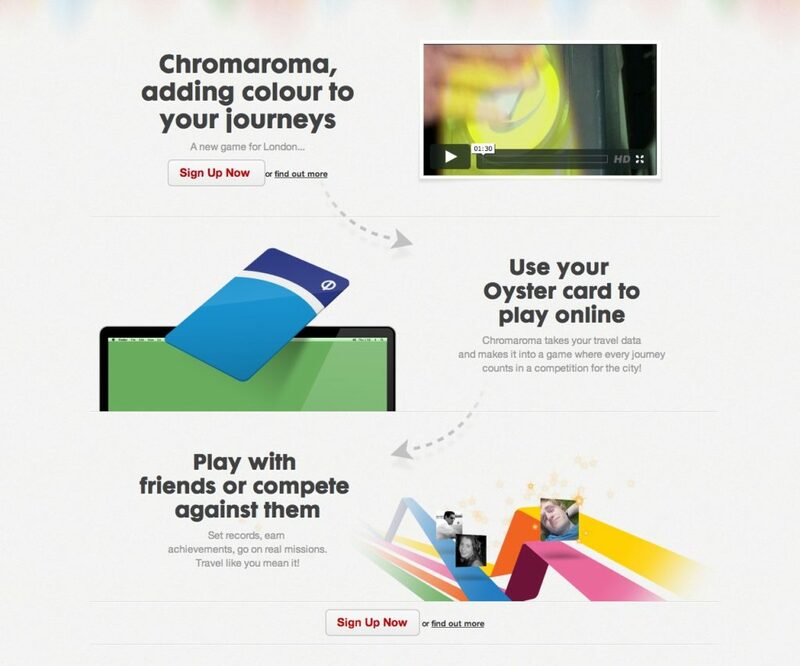 On one level Chromaroma helps educate players about London’s public transport system (players are encouraged to visit more stations), but on another level the game is experimenting with using games to create communities, perhaps the ultimate form of engagement. A very simple example of where this could lead might be someone organising the team that had “captured” a station to volunteer to pick-up litter at the station when they passed through. RingRide encourages players to become involved in local bike advocacy. 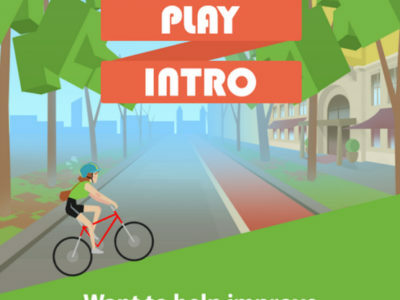 RingRide is a smart phone game designed to achieve two objectives: encouraging people to become involved in local bike planning and advocacy (engagement), and teaching people about urban biking (education). It is an “endless runner” game, a quite popular game type that includes Temple Runner and Subway Surfer. In RingRide players swipe the screen to avoid obstacles including other bikes, pedestrians and fixed objects. They also need to stop at traffic signals and avoid opening car doors. 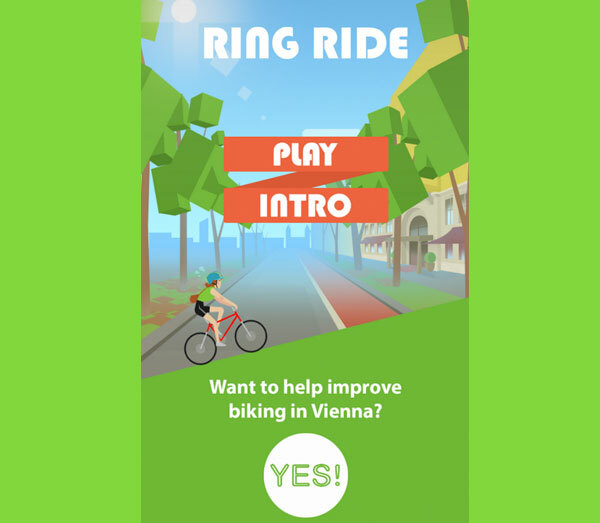 RingRide encourages people to get involved in local bike planning by providing a link for players to “learn how to improve biking in Vienna” on the results screen. The link takes players to a website with information about local events, activities and projects. 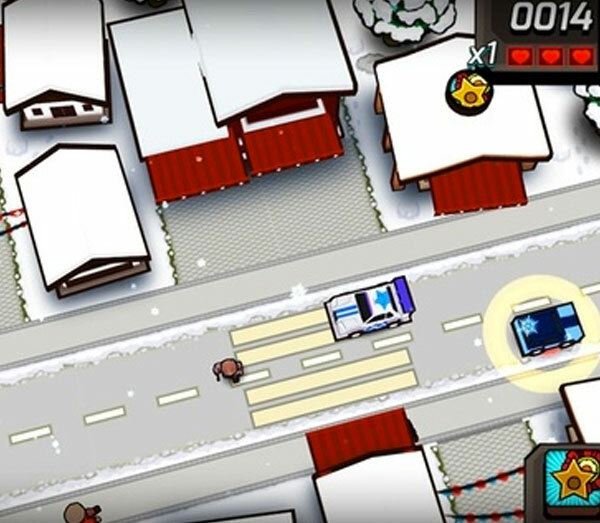 The game’s secondary objective, education on safe bike riding, is accomplished by requiring players to stop at red lights and avoid opening car doors. Importantly, the opening car door obstacle in Grr-Grr-Bike could help teach car users to look back before opening their door, in addition to reminding bikers to watch for opening doors. Pokémon Go – good article by Steven Randazzo Pokémon Go is What Health Gamification Should Be (Medium July 2016). 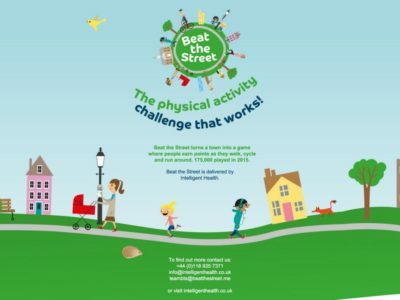 Beat the Street transforms a town or city into a giant game where residents move around to tag “beat boxes” with their smart phones, with the objective of tagging-in often. 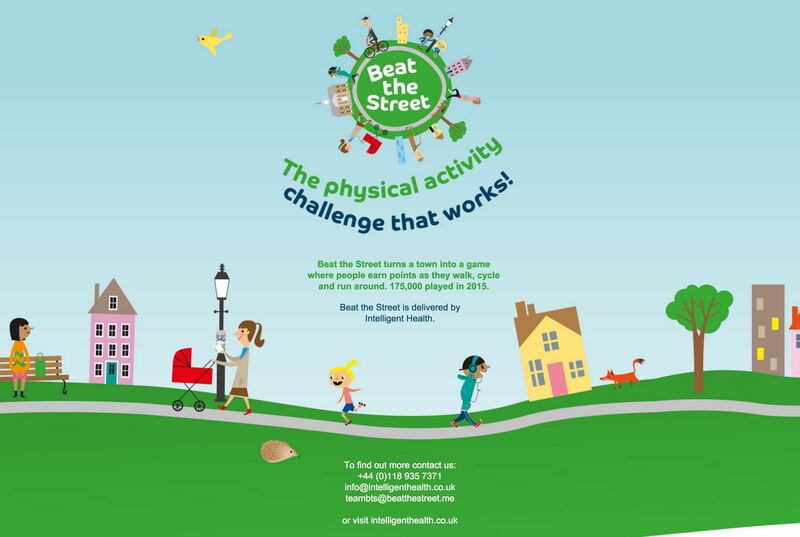 Read more: Gamification of physical activity: Beat the Street and Pokémon Go by Katherine Knight in the NESTA Blog. Walk-a-Stop helps transport agencies manage demand. 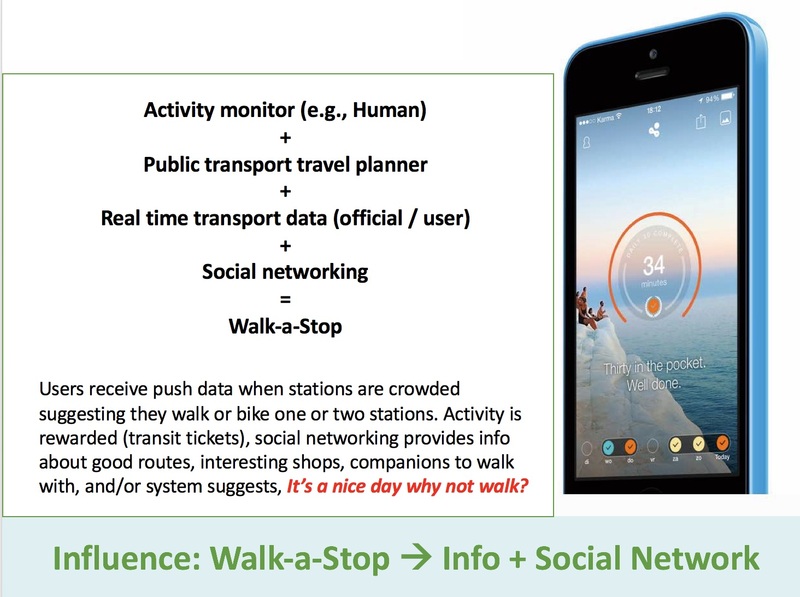 Walk-a-Stop is one of our project ideas for developing an app that public transport agencies can use to help manage demand. For example, if a particular metro station is too crowded, the app would send push notifications to users suggesting that they get off a stop early, and then walk (or use a shared bike) to finish their trip. The app would give incentives (free coffee at a cafe along the walk route, or points for walking) to users who took the walk. Transport agencies would benefit by reducing demand at congested points. Contact us if you’re interested in developing the idea further. 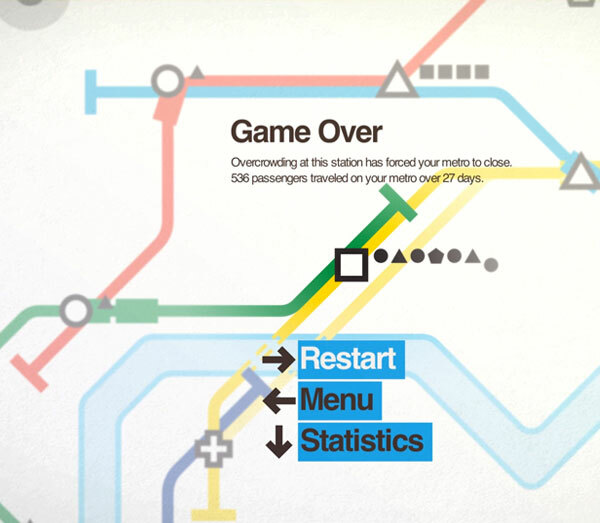 Brand New Subway public transport network design game. Mini Metro public transport network design game. Brand New Subway developed by Jason Wright for the “Power Broker” Game Design Competition in New York. 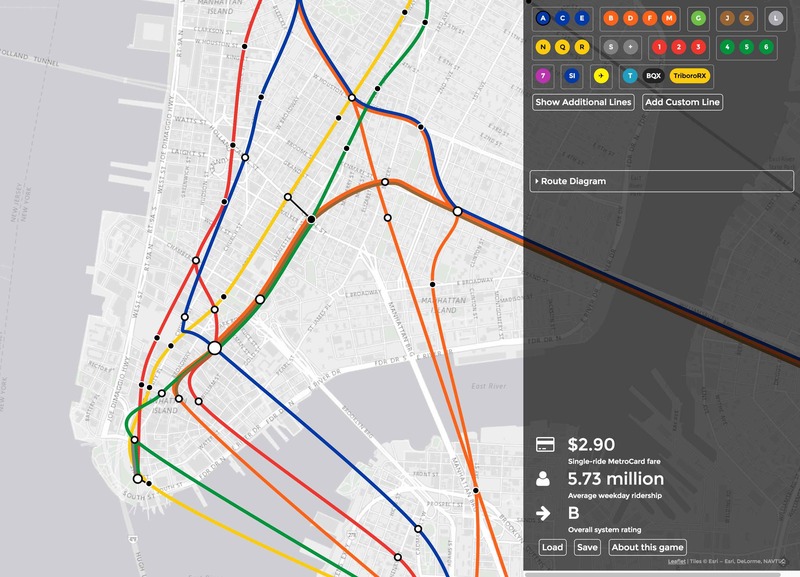 It lets players alter the NYC subway system to their heart’s content. More information about the Brand New Subway project. Mini Metro developed by the Dinosaur Polo Club. Transport expert Jarrett Walker describes how Mini Metro is similar to and differs from real world network planning in his blog Human Transit. It’s hard to create an interesting and fun game about a subject so detailed as network planning. Mini Metro is older and has many more simplifications (including a schematic city), Brand New Subway is based on New York and uses real data from the city to help describe results. These are great projects and it will be fascinating to see how network planning games continue to evolve. 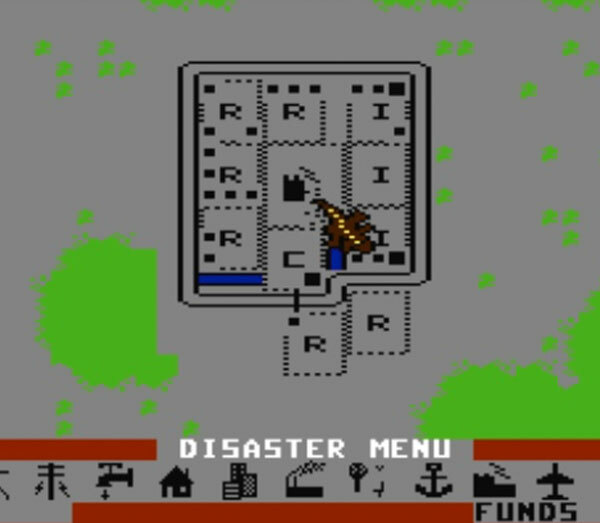 Screenshot from original SimCity game on Commodore 651. City planning games are games where players design cities (including transport systems) and see how they perform over time. The most well known planning game is SimCity. 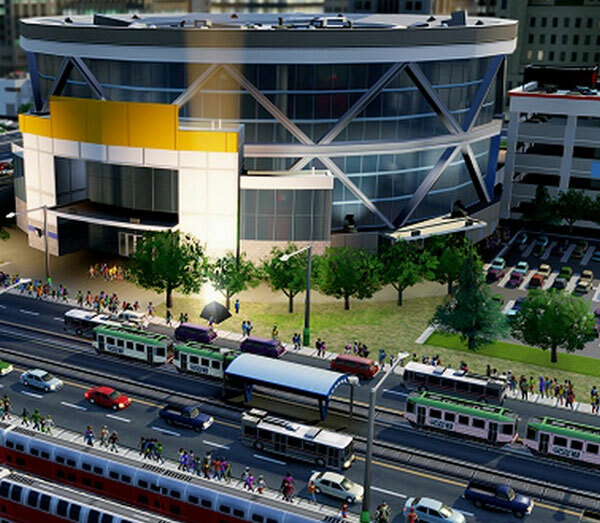 The latest version of SimCity was released in March 2013. It provides a very detailed level of simulation and allows players to compete against each other. The game is so detailed that some people have tried to use it to “diagnose their home town’s traffic problems”. SimCity, and other planning games, can also be considered to be educational games. In fact, SimCity’s developer is creating a guide for using SimCity in school to help students better understand city planning and technology. The key problem with SimCity and other planning games is that it’s very difficult to accurately simulate city development using highly specialised economic models much less in a game environment played on a personal computer. For example when Co.Exist organised a SimCity competition between six teams of urban planners none of the teams were able to create a truly sustainable city. In short, these types of planning games can help educate players about general concepts, but not detailed real world transport planning and operations. Scenario and role play games are games where players assume roles and then react to different scenarios. For more information see: Civic Creativity: Role-Playing Games in Deliberative Process. 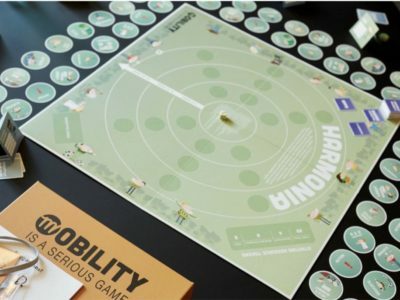 Mobility is a Serious Game is a role playing game developed at MOBI as part of the mobility4EU project. It’s designed to help people reach consensus about implementing more sustainable mobility systems. It is a board game for seven players representing government, businesses, NGOs and a public voice. The game has been tested successfully in 2017. MOBI – Mobility, Logistics and Automotive Technology Research Centre at Vrije Universiteit Brussel. 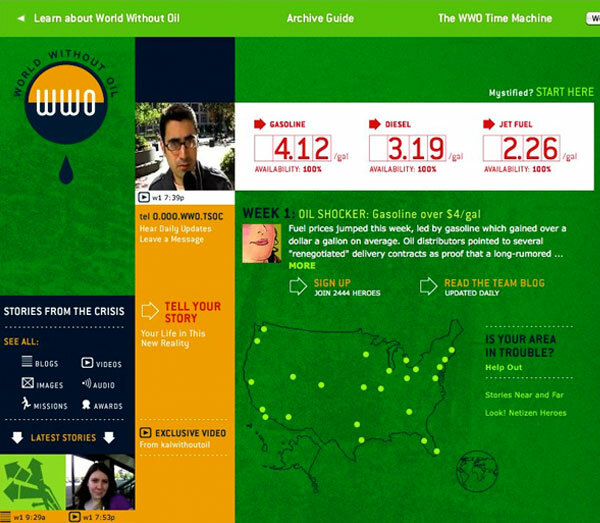 World without oil scenario game screenshot. World without oil is a scenario game designed to help players understand what would happen during an oil crisis. The game provided information to players via various Internet media (e.g. news reports, blogs, etc.) on what was happening in different places because of the shortage over the 32 week period. The players described what they “would” do under these conditions via social networks, blogs, videos, etc. The interesting aspect of scenario games is that players can get very involved in their roles and often make changes to their real world behaviour. For example, world without oil players reduced their oil consumption both during the game and afterwards. While this example is only partly related to transportation, it illustrates how scenario games work and indicates how they might be used to help a transportation agency educate people or influence behaviour change. World without oil was a project developed by Serious Games pioneer Jane McGonigal, author of the book Reality Is Broken: Why Games Make Us Better and How They Can Change the World. McGonigal’s work is required reading for anyone interested in understanding serious games. An analysis was made of the World Without Oil game in the article Collective Intelligence or Group Think? : Engaging Participation Patterns in World without Oil by Nassim JafariNaimi (Georgia Institute of Technology) and Eric M. Meyers (University of British Columbia), presented at The 18th ACM Conference on Computer-Supported Cooperative Work and Social Computing (CSCW 2015) in Vancouver, BC, Canada. They present a method for analysing participation and results of alternative reality games (ARG), apply the method to World Without Oil, and develop recommendations for improving ARGs. Must reading if you are considering ARGs. Simulator games are games where players control vehicles. There are simulator games for many different modes. One of the first and most famous was Microsoft’s Flight Simulator. There are many bus and train simulators. 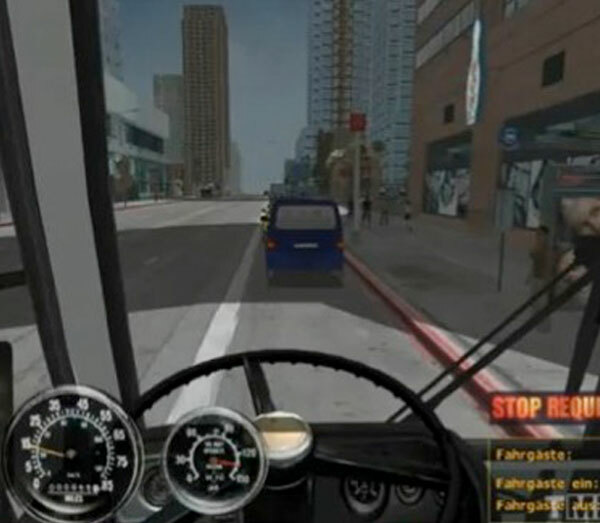 An example is Bus Simulator 2010. Simulator games are very popular, so it’s interesting to consider how they could be used to help achieve a transportation agency’s objectives. Ideas include educating people about the difficulties of driving, e.g., a bus, or helping increase public engagement. Both ideas illustrate how real games often blend several different game types. Play the City – is a great organisation from The Netherlands doing work on how to apply games in the city planning process. Excellent resources and ideas on their website. Games for Change is a great resource for learning about using and developing serious games. They hold annual conferences and provide resources on their website, example: A Five-Point Collaborative Framework for Making Health and Science Games.